New Mum with Wrist Pain?? You’re all over it during pregnancy. You know all there is to know about pelvic floor muscles and you are even back doing some light pilates, nice work you legend! But holy smokes your wrist hurts!! Every time you go to pick up your bub, you get a sharp tearing sensation that takes your breath away. It started as just a small ache but rapidly increased to unending throbbing. Now picking up the kettle or even a cup of tea gives sharp pain and the small amount of sleep you manage to get is a nightmare. If this is you then this article is designed as an educational piece. If it’s not for you, help out your mates and share the love. You’ve got wrist pain. That’s bad. The good news is that it’s not broken, it’s not cancer (stop catastrophising!) and it can be fixed. The bad news is that it is a very angry, very inflamed and likely swollen tendon in your wrist. You more than likely have what the medical community call de Quervain’s tenosynovitis. This syndrome is an overuse of two tendons that run down into the thumb. This is caused by loading the wrist when the hand is tilted downwards towards the pinky finger ie the position that your hand is in when you pick up your bub when they are on their back. The tendons normally have plenty of space between them so that they can nice and smoothly run over one another. However in this new position and when loaded with a few kilograms of downforce (read: baby) the space between the tendons narrows as they are pulled tight as bowstrings, resulting in rubbing of one tendon on the other. Now normally we can do this a handful of times without any consequences, as you know the human body is designed to withstand weird and wonderful things. Yet when repeated over and over for days and weeks and post pregnancy when fluid retention is higher and hormones are still out of kilter, these tendons become inflamed and extremely painful. How do I know whether I’ve got it? There is a really simple test which you can do at home to test whether de Quervain’s is the pain that you are suffering. There are 2 tests; Finkelstein’s test and Eickhoff’s test. Here is a simple video demonstration of how to use these tests. So we know that there is irritation of a tendon, caused by rubbing due to an overused hand position. 1) Altering the hand position to ensure no further rubbing takes place is the first step. Let’s run through a little exercise. Take your hand and hold it upright in front of your face as though you are about to give someone a karate chop. Without moving your forearm at all, move the hand away from your face and then towards your face. It will probably feel slightly uncomfortable as you move it away from yourself. Memorise this position as this is now the position you want to avoid until this issue is resolved. No, it doesn’t mean you can’t pick up your baby (though if you need to convince your partner to change more nappies then a rest will benefit your wrist?). But yes, this means that you may have to move your body and change the position in which you like picking up your baby to ensure you don’t do further damage. 2) One of the best pain relievers for tendon pain is cryotherapy (a fancy word for the simple ice pack). Ensure the ice has a tea towel or chux wrapped around it as you don’t want to get an ice burn and have the pack sitting directly over the site of pain. I know you’re now busy but you must be doing this as often as you think about it for 15 minutes at a time. Again, an excuse for your partner to chip in and give you some time to yourself. There are further steps you can take but it is worth trying these simple tips at home to start the process of calming down the irritated tendon. If the pain persists for greater than one week then I strongly urge you to visit a skilled physiotherapist. Things that they may do include; immobilise the wrist further with either taping or a physio recommended brace, massage, dry needling and non-steroidal anti-inflammatory drugs (speak to your doctor or pharmacist). Failing this they may recommend a steroid injection underneath the tendon sheath. The worst case scenario for de Quervain’s is that it progresses to surgery, so please take care of yourself so that you can take care of your new-born. Hope you’re taking care of you. 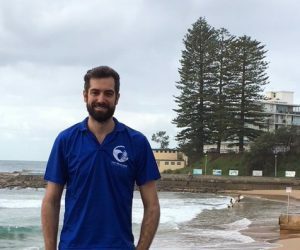 Damien has done a specialised degree in spinal physiotherapy and chronic pain. His skill set revolves around lower back, neck, headache and pelvis pain and he treats many ladies during pregnancy all the way through to CEO’s and grandmothers. One of his key clinical interest areas is kids especially posture and growing pains (though also elite child athlete’s – he is currently treating a few international and national level athletes from rockclimbing to volleyball).